KEEP CHECKING BACK FOR MORE FLOWERS! 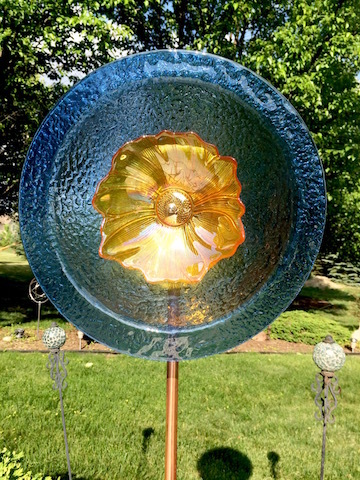 My husband Tom began making art and vintage glass garden flowers last year for our yard. So many people began to admire and inquire on the beautful glass decor we had in our yard, he decided to design and make more. During a trip through Ohio last summer, we stopped at every antique market, mall and gallery where Tom accumulated quite a nice collection of art and vintage glass pieces. Each is very sturdy and uses either a cement based or screw assembly. 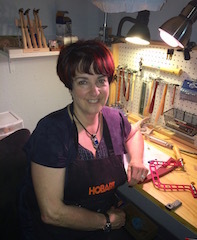 They are assembled onto a solid copper pipe for placing into the ground. Tom took some to one of my shows last year and sold out! I have attached some photos on this page, most of which are sold, and will add as he makes new ones for this season. Maize and Blue 15" - SOLD ! Iridescent Blues & Purple Large Art Glass & Vintage Center Flower - SOLD ! 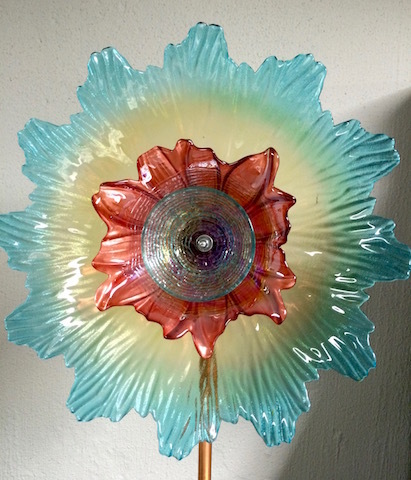 16" Triple Art Glass Flower - SOLD! 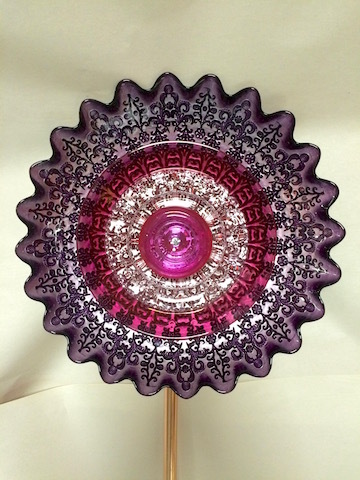 Purple and Fuschia Art & Vintage Glass Flower - SOLD !